Welcome to your new turn-key residence in the 55+ Del Webb Community of South Shore Falls! Tastefully furnished this Bayview floor plan (1933 sq. 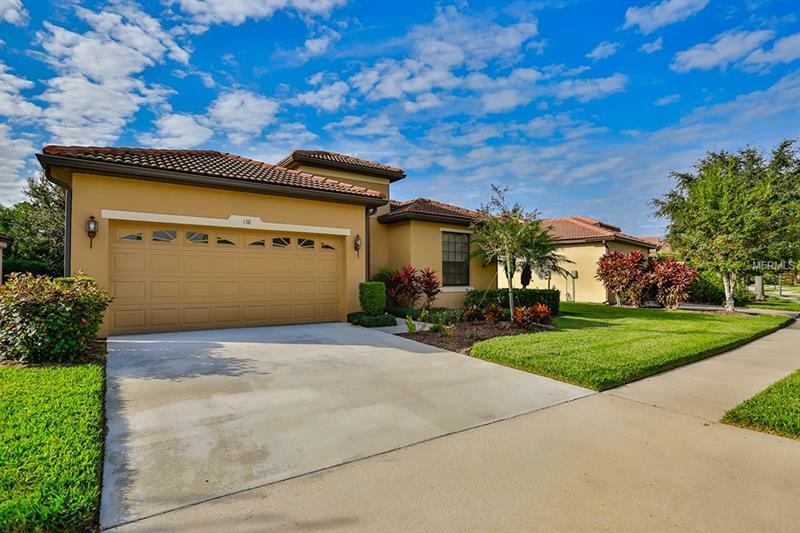 ft) layout is ideal for Florida living. Enter through beautiful glass front door into for formal dining area that opens into large great room with slider to oversized screen lanai. Kitchen features new stainless appliances, solid surface counters with breakfast/lunch eating counter, and kitchen nook with slider to the lanai. Additional upgrades include new washer & dryer, crown molding throughout the home, new a/c in 2017 as well as new interior/exterior paint in same year . Large master bedroom features 2 large closets and slider to the lanai. Master bath has tile throughout, recessed make up counter, large glass walled shower, his and hers vanity and linen closet. Guest bedroom room is spacious with large closet, ceiling fan and separate full bath with tub. Home also has large office/den. On premise Wellspring Club features lagoon pool, fitness center, hobby & craft rooms, tennis, bocce and pickle ball courts. Enjoy walking or riding your bike in this 7X24 secure gated community!